Ok, well. this is what it actually looks like in the game. 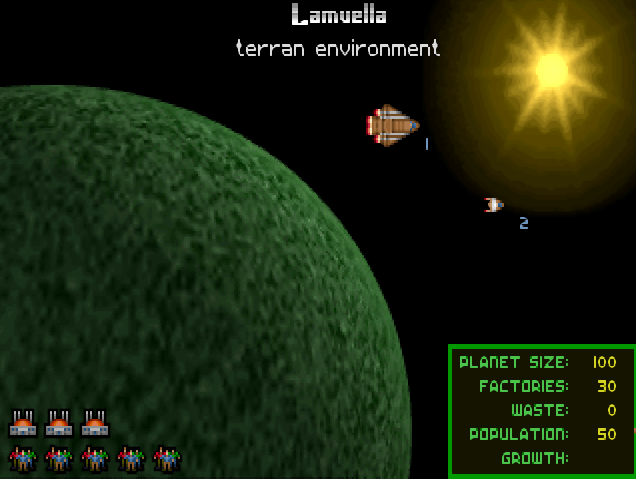 So, it looks like the early game of the 4X-space genre hasn’t changed much since 1993. Galactic Civilizations, Sword of the Stars and Sins of a Solar Empire all start the same way Master of Orion appears to star: send scouts to the nearby stars and settle any likely looking worlds you find. 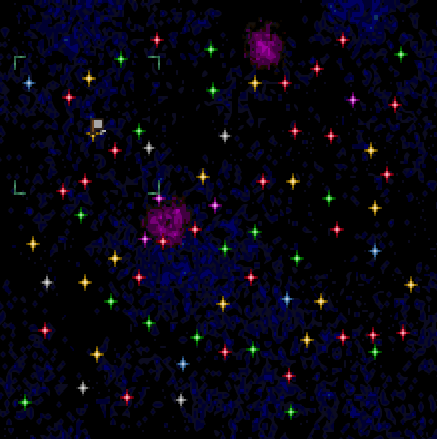 I wonder if future 4x games will acknowledge the growing number of exo-planets we’ve already discovered? 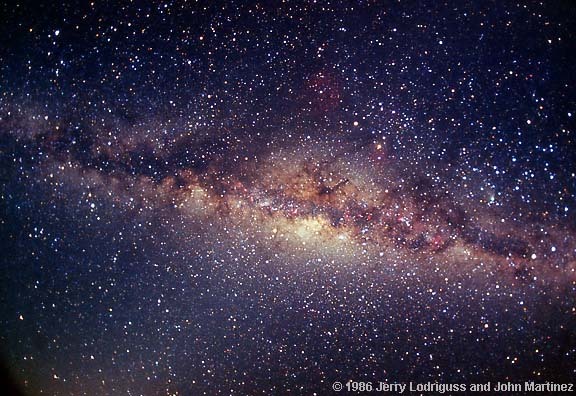 On Lamuella, the Alkari had failed to discover gravitational micro-lensing, and instead focused on what birds do best: flying. Pikka sent the first two scout ships out to explore nearby stars, while instructing the science parrots to find ways of flying further and faster. The wise science parrot of Lamuella. A fleeting few years later and the scouts sent news of a habitable planet orbiting the neighbouring star Exis and the first intrepid colonists are lured to this arid wasteland of a planet with promises of government subsidised ice-cream. Welcome colonists! Your new, better life starts today. Mood in the new colony swiftly turns sour when, just one year later, scout fleet B brings news of another habitable planet. This time, it’s a lush paradise orbiting Hyades! Pikka sends in the riot police to remind the new citizens of Exis that their colony is still a valuable addition to the empire, as the more affluent members of Alkari society plan to use it as a refuelling station on their way to Hyades. 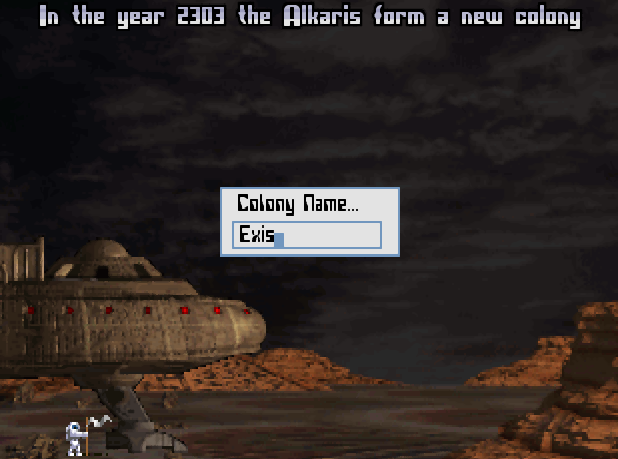 And anyway, it’s going to be years until a new colony ship is built so for the time being, volunteers are still needed for the colony on Exis. It appears that Pikka is not the only megalomaniac would be galactic emperor with his eye on the Hyades: a scout ship belonging to an unknown alien race is spotted nearby. They turn and run before the Alkari scouts can get a close look at them. To avoid worrying the public, Pikka suppressed all records of this incident, and chooses to press ahead with the scout and colonise master plan. 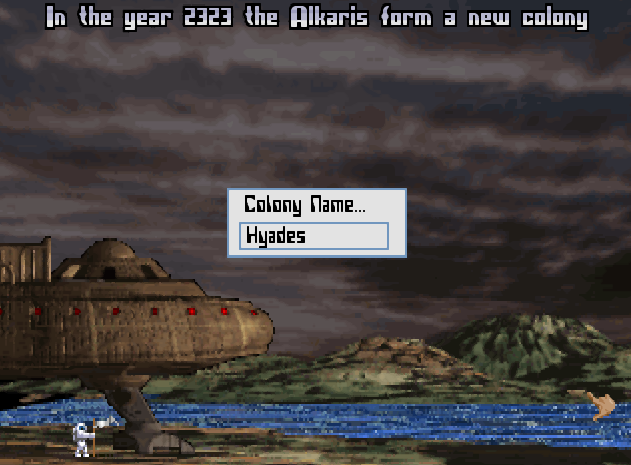 In 2030 the first new colony ship is build, and a few short years later, the first colonists land on Hyades. 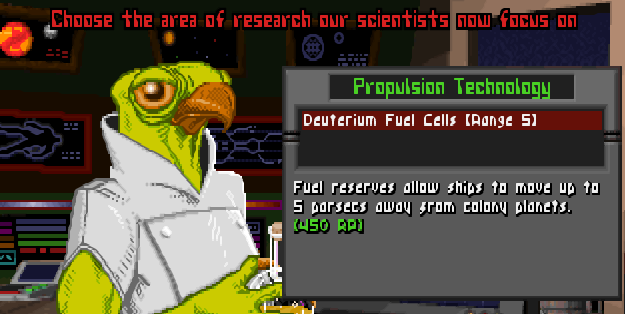 Of course, the colonists know nothing of the repeated sightings of alien ships in this sector of space.